Lee Thelen wanted to have a place to store fertilizer and more room for farm machinery storage, but maintaining the traditional look of a farmstead was important to him. A brand new grey gambrel barn replicates the traditional farmstead look and provides the clearance needed to dump semi loads of fertilizer. 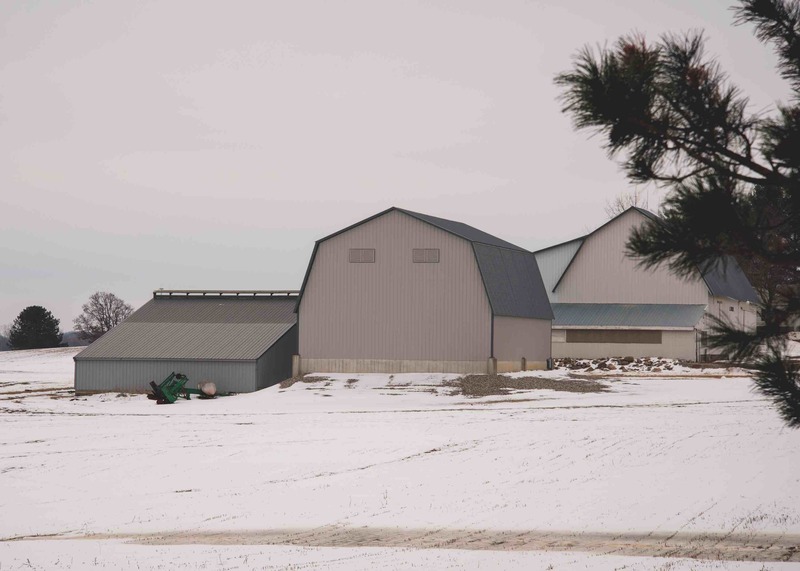 A massive lean-to addition to an old 100 foot long timber frame barn provides machinery storage while still maintaining the traditional barn look.